Today (technically yesterday (Wednesday)) is Big Caleb’s and my 9th wedding anniversary. Out of all these years, Big Caleb finally figured out I don’t want expensive jewelry, massage packages or anything like that for gifts — A simple box of truffles will make my day. It made little Caleb’s day too. 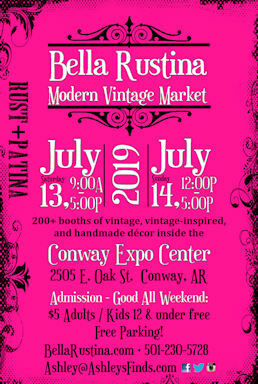 It’s time to start distributing Bella Rustina promo cards to local businesses. Since it’s difficult for me to get around to see everyone with Little Caleb, my friend Evelyn has been very helpful in taking cards out for me. She got to tour the ESSE Purse Museum a couple days ago and shared photos with me, so I told her she should write a guest post on AshleysFinds.com. Click this link to read it. This weekend is Bargains Galore on 64. Click here for a list of participating cities. I hope all of you who get to go junkin’ find some great finds!! Fantastic 1964 Ford F100 with 8’ bed (Rhino lined), automatic transmission, A/C, new marine-grade seat upholstery, gorgeous red with white & chrome trim. Really great condition. Odometer reads “5,743.” Please contact John with all car-related questions – 607-4747. Gorgeous 2013 Cadillac ATS 4-door sedan – black with black leather interior and sunroof. < 61k miles. In fantastic condition. Please contact John with all car-related questions - 607-4747. Leather burgundy armchair w/ ottoman and matching sofa, black painted TV armoire, antique side tables – some with marble tops, oriental shelving units made of bamboo & wicker, bamboo writing desk, black glass-top coffee table, 6 federal-style shield-back dining chairs with needlepoint seats, small antique chest of drawers, pair of khaki colored armchairs, small needlepoint footstool, antique drop-front desk on stand, butler’s tray coffee table, sage green sofa, 2 short leather-seated bar stools, matching buffet and lit china cabinet, occasional chairs, small console table, large lit curio cabinet with side entry, 3-tier pie crust table, nice rolling desk chair, spindle baby crib and linens, cedar chest, wooden 3-drawer file cabinet, white kid’s TV armoire, small red desk, glider rocker, bookcases, 2 twin mattress sets, queen 4-poster bed, parsons’ chairs, dresser with mirror, old steamer trunk, pair of wing-back chairs, diaper changing table, garage cabinet, outdoor/patio furniture, and more!! large framed mirror, area rugs, lots of wall art – nice variety, oriental turquoise porcelain ducks, woodland figurines, brass candlesticks and figurines, ficus tree, Norman Rockwell figurines, and more! stack of cafeteria-style lunch tray/plates, cooking utensils, table linens, serving pieces, Corning casserole dishes, pink depression glass stemware, crock pot, toaster, Magnalite pots/pans, Kitchenaid hand mixer, red glass vases, clear cut & pressed glass; crystal – Waterford, Gorham, and others; clear glass luncheon set, Fiesta serving pieces & mugs, Corning Centura dishes, Royal Worchester china, Lenox Holiday china, Keurig coffee maker, side-by-side white fridge, and more! LOTS of toddler & baby toys – including “riding” toys & art easels, little girl’s bike, 2 Chico strollers, HUGE number of snapping cloth diapers (not vintage), LOTS of clothing – boy’s infant-2T, girl’s infant-5T. SPREAD THE WORD!! Men’s, Women’s and children’s clothing & accessories (see “Kid’s stuff” above). Toiletries & beauty supplies, books, VHS, linens, office/school supplies, cleaning supplies, audio books, stereo equipment, propane grill, holiday decor & lots of gift-wrap, pots & planters, and more. Samsung front-loading washing machine, Maytag Neptune dryer, old cameras, watches – new in package, Coke bottles, a sheet of un-cut and uncirculated $2 bills, sterling – 2 spoons & 2 forks by Reed & Barton “Tara,” synthetic rifle stock for USGI M14 M1A, laptops & computer equipment, framed needlepoint, new-in-box cases of baseball cards, lawn tools, mini motorized scooter (kids) by Razor, old outboard motor, men’s mt. bike by Sterling, hitch-mounted rack for back of car, dogloo, fire pit, self-contained fountain/water feature, and more! Vintage 12″ Japanese bowl, Vintage 14″ Famille Rose bowl, Pr. matching mahogany bookcases, pr. matching oak domed top bookcases, other bookcases, and books throughout the two story home. Books from 1832 to current. (Lots of children’s books from 1875 to 2,000, bird books, poets, history, novels, medical, etc), .1860’s ledgers, doll house, Pidgeon Forge tea set, vintage Madame Alexander baby doll, wood duck wall art signed, Sterling Cockrill Jr, HP Slim Line computer, modern computer desk, twin mattress sets, full mattress set, queen mattress set, sofa’s, lamps, art work (oil & watercolor), dishes, glassware, children’s dishes ( Beatrix Potter, Wedgwood, Royal Doulton, Copeland), sketch of early Stuttgart figure John Cain, Henredon dining table set, fridge, washer, gas dryer, curio cabinet, recliners, rugs, four drawer chest, cook books, twin bedding, full bedding, queen bedding, blankets, and so much more. PARKING NOTICE: This sale is located on I Street in Hillcrest at the end of Martin. I Street is a narrow (only room for one vehicle in the roadway) and is a dead end with no turn-around. The driveway to this residence is a steep uphill grade and will be blocked for the sale for loading only. There is no parking on I street. We suggest you park on Midland, please note most of Midland in this area is one-way going south. Please be mindful of neighbors and driveways when parking. We apologize for the inconvenience with parking. Moving/Living Estate Sale: Newer furniture, sofas, tables, side chairs, recliner, home décor, and knick-knacks. Some yard tools and outdoor equipment. Quartz crystals, Catholic religious items, original signed Rance Hood, Native American painting. Photos will be posted to Craigslist>Garage Sales on Thursday night. This estate/auction has something for everyone. We will conduct a two day estate tag sale and finalize the estate with an auction held on Sunday. This weekend we are liquidating an incredible house! We have multi generations of items to sell and everything is in great condition! Modern furnishings include love seats, recliners, 2 queen beds, dressers and chests, huge kitchen island, octagonal glass table/chairs, side tables, lamps, small desk, sofa table, rugs, artwork. 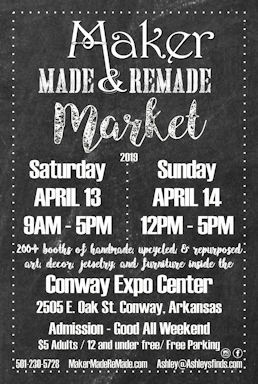 On the vintage/antique side…glass front cabinets, antique dresser, beds, dining tables/chairs, armoires, and curios, book cases, artwork and decor, glassware, silver plate and Swarovski crystal miniatures. There are two decks and a huge yard loaded with furniture, wooden glider, concrete planters/urns, concrete benches and picnic table, shells and water themed items, even plants! For the sports enthusiast….a fiberglass canoe, a paddle boat, autographed golf photos, TONS of hunting clothing and accessories, snow skis, boots and poles, archery items, fishing items, life jackets, etc. Girls! The closets are full of name brand clothing, shoes, boots, purses and accessories and LOTS of costume jewelry. And for everyone- BOOKS, religious crosses and photos, holiday items, linens/pillows, kitchen wares, and every day items. Furniture: Bassett dining room table with 8 Chippendale chairs Regency style armoire Sideboard Antique rocking chair (child’s) White wicker chairs Oak dresser with mirror Metal patio furniture (table and 4 swivel chairs) Pressed-back chairs Pottery Barn end table Antiques include, but are not limited to: Theodore Roosevelt vintage book collection Theodore Roosevelt signed certificate (mounted and framed using acid-free material and museum quality glass) Frames Card catalogue Treadle sewing machines (in cabinet and heads only) Wall mount telephones Dolls Lace & doilies Gold mirrors Child’s rocker Framed lace (handmade) Lenox Princesses Militaria USMC NRA (trunk, statues) CSA Eagle collection China and Dinnerware: 222 Fifth Savannah 222 Fifth Kashmir Portmerion Botanic Gardens Mikasa Early Spring Heartland Mikasa Garden Harvest Other Cross stich (completed and charts). DVDs, DVD storage, Disney VHS, highend bedspreads, iron wall art, Christmas decor and trees, kitchen housewares, lamps and much, much more. Don’t miss out on this sale, liquidating beautiful home full of collectible items! Antique bedroom suite with large mirrored armoire, mid century modern desk, contemporary office furniture, beautiful wood claw foot dining table (seats 8-10 with 2 leaves), 8 dining rooms chairs, nice buffet, pub table, bar stools, bakers rack, antique writing desk, several vintage console stereos, lots of glassware, contemporary glass sofa table, kids Lego table with chairs, Nordic track treadmill, pioneer stereo, speakers, leather couches, chairs, recliners, Victrola cabinet, bar cabinet, beds, bedding, dressers, night stands, pictures, mirrors, lots of books, two patio sets, bistro set, gas grill, washer, dryer, too much to list!! Movers on site to assist customers. Contents of home, all must go and final reductions! We uncovered more goodies! Lots or holiday and collectable items as well tools and electronics too! 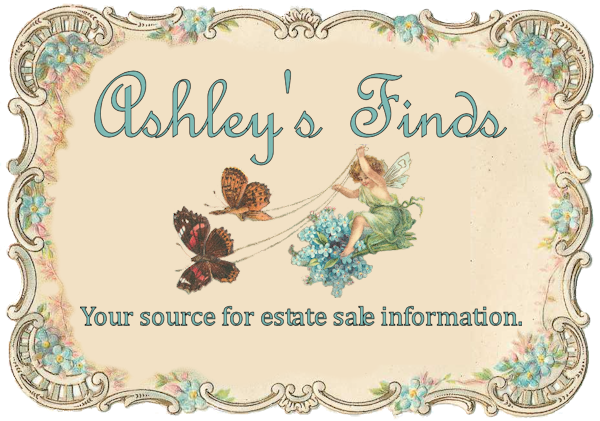 Waterford, Heisey, and fostoria crystal, Beleek, Johnson bros China, candlestick collection,oak corner cabinet, several bookcases, lots of books, Ethan Allen table and chairs, spinet piano. Provincial desk, bookcases, chest and bed. Mahogany poster bed, matching dresser, chest, and armoire, lamps, signed artwork, like new handicap scooter, John Deere riding mower witn attachments, compressor, speakers, microphones, amps, lots of garage, kitchen, and household items. Sewing notions and books. The he is absolutely packed! Going out of business after 21 wonderful years. 50% off everything in this full 17,500 sq ft building. Sale will be August 10th, 11th, and 12th. Then the doors close, but building and land for sale. DAVID & LISA ARE SELLING THEIR LARGE ASSORTMENT OF FURNITURE, GLASSWARE AND OTHER ITEMS AT AUCTION. ALL ITEMS ARE VERY NICE AND IN GOOD CONDITION. IF YOU ARE LOOKING FOR FURNITURE READY TO GO IN YOUR HOME DON’T MISS THIS AUCTION. AUCTION IS STARTING AT 9 AM DUE TO LARGE AMOUNT. AUCTION WILL BE HELD IN AIR CONDITIONED BUILDING WITH REST ROOMS AND CONCESSION AVAILABLE. This auction will offer the remaining great items from the Hon. Judith Rogers Estate plus a furniture consignment from West Little Rock, to include Lladro dancer figurines, vintage Roseville Raymor dinnerware, silver plated serving items, King size bedroom set, full size bed, twin beds, leather sofa w/ end recliners, pie safe, frames prints & original artworks, decor items, concrete statuary & more!